It Isn’t Islamophobia When Muslims Kill Muslims. The false headlines have started already. Islamophobia is to blame for the killing of 6 Muslims attending Isha, the last prayer of the day. However, it is slowly being revealed to the public, 2 arrests have been made, and they are believed to be Muslims. 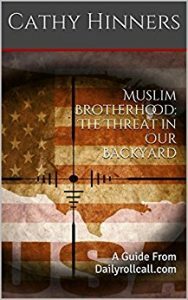 Witnesses coming forward stating the men were yelling Allah Akbar as they began to shoot. This apparently does not come as a surprise to the Imam of the Islamic Center of Quebec, as just hours earlier he spoke of former members that considered his mosque to be blasphemous, and filled with the murtadeen, or apostates. This isn’t new to those that understand ISIS. In Issue 14 of Dabiq magazine, several pages are dedicated to explaining why Muslims are apostates rather than hypocrites. In a news conference just being held with Canadian law enforcement officials, reporters asking if this particular mosque had been one of interest, officials vehemently stated they would not answer the question, as to not offend its members. Muslims following the perfect, universal Islam. The same Islam practiced here. Islam is Islam. Stay tuned for more information as more arrests and details will be released. Latest: Alexandre Bissonnette, a 27 yr old from Cap-Rouge, Quebec has been arrested. Bissonnette, dressed in black allegedly armed with an AK-47, opened fire at the mosque killing 6. Witnesses state he yelled allah akbar as he shot anything that moved. ← Previous Previous post: The Muslim Meltdown Continues..